This has been underway since October. 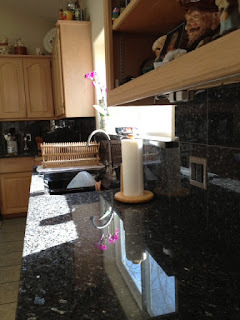 First we waited months for the ordered granite counters. Then more months for the ordered granite tiles. Also got new outlets and switches - charcoal rectangles surrounded by brushed stainless. 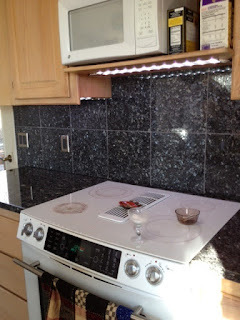 Also got new LED under-cabinet lighting.